Our trip to the Azores was so fun, so relaxing and just so beautiful–it is hard to pick out our favorite parts of the trip. But, I have to say, visiting the Poca De Dona Beija Hot Springs, was definitely in the Top 10! We spent most of our time on the island of Santa Maria but had a couple of days to quickly explore Sao Miguel. My brother had gone over first and sent me a message that we had to check out the hot springs. He said, “I was reluctant because it seemed really touristy, but it is a must do.” With that, I added it to our every growing list. I am so glad we listened to him. 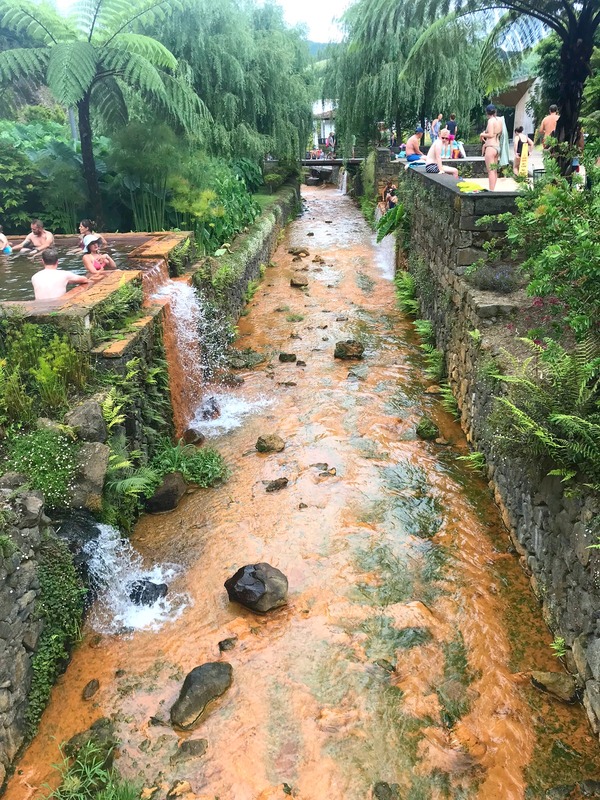 The Poca De Dona Beija hot springs are located in the town of Furnas. If you are driving, the Waze app gets you there magically. The roads are so tiny and there don’t seem to be street names but somehow after many twists and turns, you have arrived. We were lucky to get parking in the small lot out front–people are constantly leaving so I suggest hanging around for a minute to see if you catch someone leaving. If you don’t find parking there, we saw people parking on the street nearby and walking over. The entrance looks very modern and sleek—almost something like you would see in Japan. Actually, the whole place reminds me of the hot springs in Japan. The entry fee was 6 euros per person, and definitely worth that. When you enter, you can rent lockers for your stuff but they will also give you a plastic basket to put your stuff in and you can just carry it along with you. We chose the latter option and it worked just fine. There are five hot springs pools, four of them are at temperatures of 39 degrees Celsius (102 degrees F) and one is 28 degrees Celsius (82 degrees F). The 28 degree pool actually ended up being my favorite because it had a little river feeding right into it. I loved laying in that pool and just staring up at the clouds—amazingly relaxing. When I got too cold, I would just move to one of the warmer pools. All of the pools have a bit of an orange tint to them, from the iron that is naturally occurring in the springs. The iron and other elements in the hot springs are supposed to be healing and it definitely made me feel great! 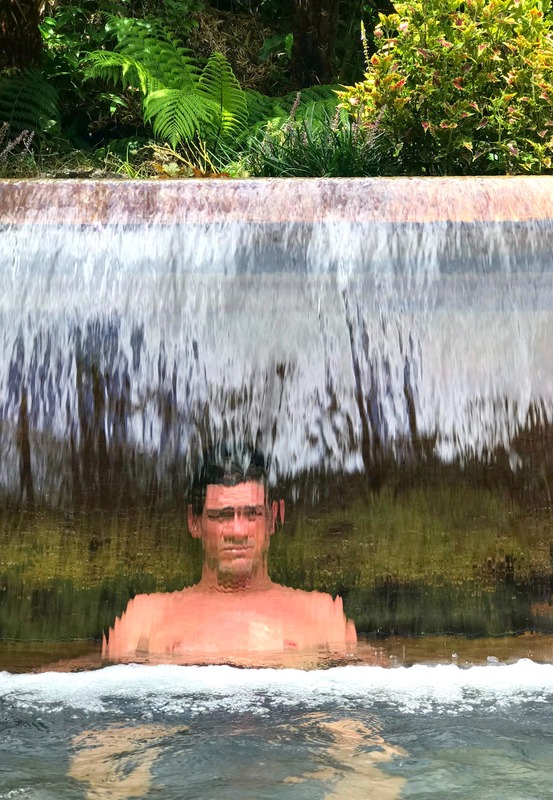 We did visit another hot springs while we were in the Azores and I will make sure to post about that as well. 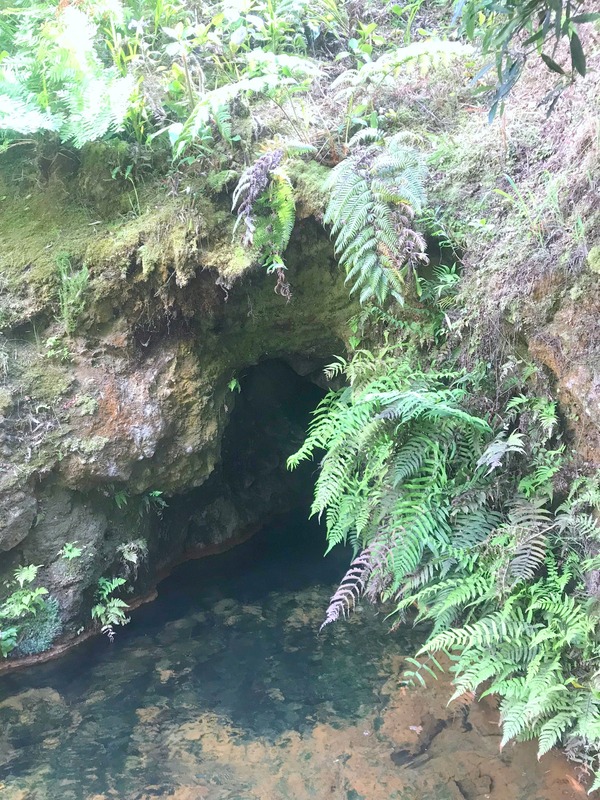 But, I do want to say, if you go to Sao Miguel in the Azores—-visit the Poca De Dona Beija hot springs in Furnas. Plan to spend 2-4 hours there and if you can swing it, check it out in the evenings. They are open until 11:00 pm! If you end up visiting or have any questions, let me know!